Businesses are now taking customers to court for their reviews on sites like Google, Facebook, Yelp and Angie's List. Businesses are now taking their complaints about nasty online reviews from the chat rooms to the courtroom. 9Wants to Know found cases in which customers have been taken to court for their negative reviews, which can result in lengthy and expensive legal battles for both parties. Denver attorney Ed Hopkins specializes in this type of legal work for small businesses who want customers to take down defamatory and damaging reviews. Hopkins said he writes dozens of “cease and desist” letters every year for small businesses who feel customers have crossed the line online. “We are all surviving off of small businesses," Hopkins said. "They run this economy. Don’t destroy a small business without giving them an opportunity, a fair opportunity." While it’s impossible to track how many defamation cases are filed in Colorado courts, near-daily national headlines about businesses and professionals suing reviewers indicate the practice may be growing. 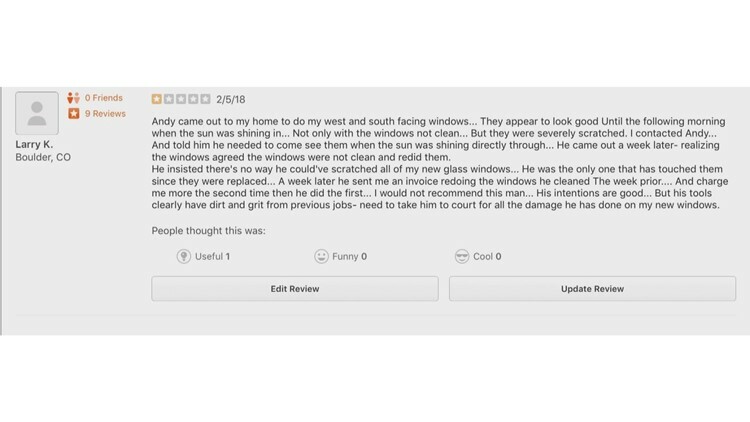 A negative online review about Andrew Jonas and his window washing business in Boulder became a central point in a two-day civil trial in after he claimed defamation against an angry customer. “He lied from the beginning. I know it, he knows it,” Jonas said of customer Larry Koenigsberg, who posted several negative reviews on Yelp and the Better Business Bureau. “....His tools clearly have dirt and grit from previous jobs -- need to take him to court for all the damage he has done on my new windows,” Koenigsberg wrote online before he sued Jonas for damaging his home windows. Jonas filed a defamation counterclaim, claiming the negative reviews damaged his business. “We estimate that it impacted Mr. Jonas’s business probably in the ballpark of $45,000 dollars,” Jonas’ attorney Sherri Murgallis said. Larry Koenigsberg went to court over a battle over an online review. Ultimately, the judge concluded neither man was able to completely prove his case. Each had to pay their own legal fees. Jonas told 9NEWS he felt compelled to file the defamation counterclaim to clear his name. 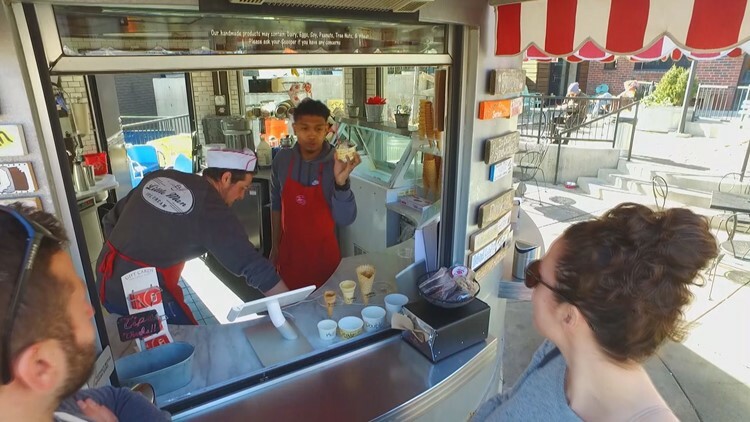 Little Man Ice Cream is an example of a business that relies on online reviews. With dozens of online websites like Yelp, Facebook and Google embracing customer opinions through five-star reviews, businesses have been challenged to keep up with the constant flow of customer feedback. Keeping tabs on that feedback is necessary for shops like Little Man Ice Cream in Denver, who depend on good reviews for good business. “Overall, I think we have 4.5 stars. That’s great," Operations Manager Loren Martinez said. "If that drops to three stars, people are less likely to even click on us. And look at our business." Some businesses have hired companies like CenterTable of Denver to help them keep up with the reviews. “Ninety nine percent of the time we are going to tell our clients that they should respond to those negative reviews in some way," Jim Licko of CenterTable said. "A timely response, a respectful response. Something that shows that they care." Our experts say customers should try talking to a business in person before they post a negative review. Hopkins said reviewers should be absolutely honest in their reviews and add as much context as possible. “Make sure if you publish something disparaging about a business online, that it is absolutely unequivocally true,” Hopkins said.